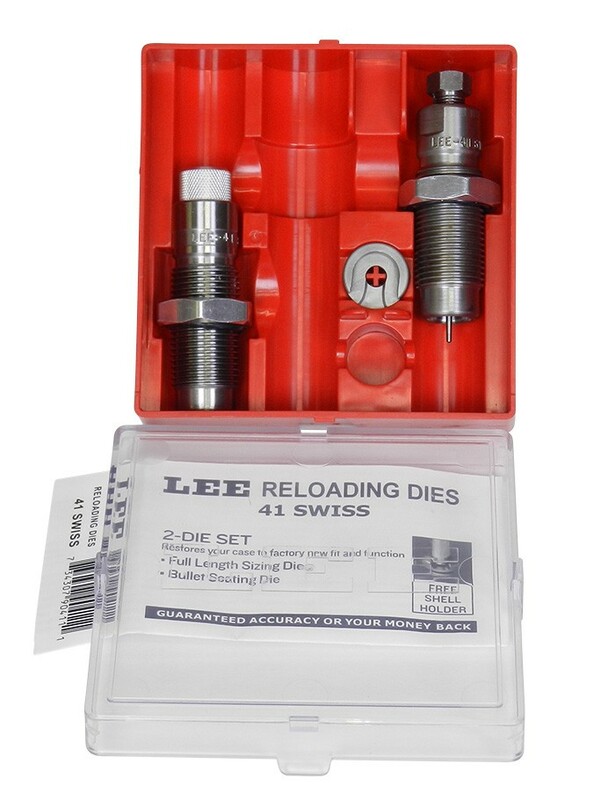 Lee 41 Swiss Very Ltd. Production 2-Die Set. Includes Full Length Sizing Die, Bullet Seating Die, Universal Shell Holder and instructions. Powder Dipper and load data are not available for this cartridge.